Facts & Information about Titanic's maiden voyage and route from Southampton to New York in 1912. Maps, Cherbourg, Cobh, Halifax, Sinking. Great information for teachers, students and historians. This map outlines the route Titanic intended to take between Southampton and New York. After the success of Titanic's sea trials in Ireland she made the short journey to Southampton, England for what would be both her maiden and final voyage. Titanic arrived in Southampton only two weeks prior to her maiden voyage which meant there was an incredible amount of pressure from White Star Lines to turn her from an Irish built ship into their most elegant British Royal Mail Steamer. Food, Linen and Furniture were thousands of another items were hauled aboard Titanic around the clock and staff were selected and trained accordingly for their roles. Captain Edward James Smith would be the man to steer Titanic to New York and was perfect fit for the role due to his presence and stature for the media, experience from his crew and was a particular favourite of J.B Ismay the head of White Star Lines for all of these reasons. As a crowd waited in anticipation at the Southampton wharf Captain Smith reared his head around and looked at the first officer, Robert Murdoch, who was at the wheel. The Captain walked to the bridge and asked if the tugs were ready. Just then, the phone on the wall behind him rang. The First Officer walked over and picked it up. "Tugs all fast, sir," was the message he heard. He said, "Thank you," and walked to the wheel. He looked at the Captain and nodded. The Captain looked at him and said, "Take her to sea Mr. Murdoch." He reached past the Captain to the bridge telegraph and pushed it till it rang and went to ¼ ahead. Like nearly all other elements of Titanic's life thus far its departure was a successful event that was witnessed in large numbers by both the media and interested parties of all shapes, ages and walks of life. Passengers on the Titanic paid significantly different prices for different accommodation options. 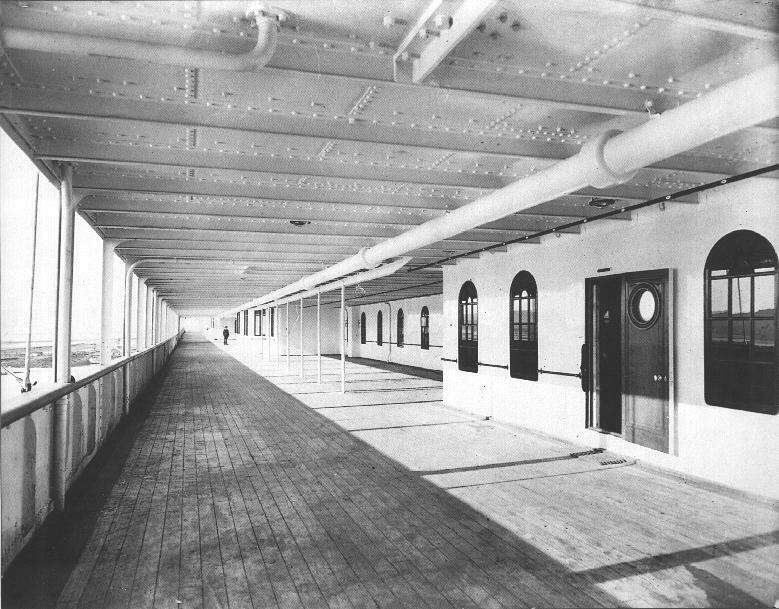 The suites and cabins on the Titanic cost the passengers no small sum for the time. At approximately $100,000 in today’s dollars, you can see why the world’s richest and most elite sailed on the Titanic — only they could afford the parlor suites. 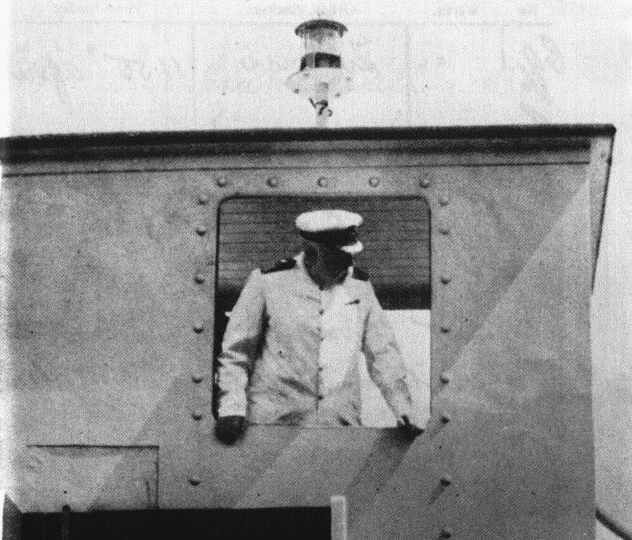 For the immigrants who traveled in third class, the cost of a berth was no small sum either. The immigrants were poor, and raising that kind of money (approximately $350 to $900 in today’s dollars) for passage to America was difficult in the early 1900's. First class passengers sipped wine and enjoyed cigars and hors d'oeuvres, whilst those on the lower decks were overcome with happiness and sadness at the prospect of entering a new life in the United States but also knowing they may never see their families or beloved England again. The Titanic seemed to have everything on board, including its own newspaper. The Atlantic Daily Bulletin was printed every day on board the Titanic. The newspaper included news, advertisements, stock prices, horse-racing results, society gossip, and the day's menu. Passengers enjoyed the calm seas and experienced one of the finest menus available as Titanic steamed to New York. Titanic had stopped in Cherbourg, France to pick up additional passengers. Here, one of the most famous people on the ship boarded, Colonel John Jacob Astor and his young, pregnant wife, Madeline. Madeline was nineteen and there was some dispute about this among the passengers who knew him. That evening she sailed for Queenstown, Ireland, and at 1:30 PM on Thursday, April 11, she headed out into the Atlantic. The R.M.S. Titanic was a Royal Mail Ship, a designation which meant the Titanic was officially responsible for delivering mail for the British postal service. On board the Titanic was a Sea Post Office with five mail clerks (two British and three American). These mail clerks were responsible for the 3,423 sacks of mail (seven million individual pieces of mail) on board the Titanic. Interestingly, although no mail has yet been recovered from the wreck of the Titanic, if it were, the U.S. Postal Service would still try to deliver it (the USPS because most of the mail was being sent to the U.S.). By all accounts, the night was uncommonly clear and dark, moonless but faintly glowing with an incredible sky full of stars. The stars were so bright that one officer mistook the planet Jupiter (then rising just above the horizon) for a steamship light. The sea was, likewise, unusually calm and flat, "like glass" said many survivors. The lack of waves made it even more difficult to spot icebergs, since there was no tell-tale white water breaking at the edges of the bergs. The lookouts were questioning White Star personnel as to where their binoculars were. They were told that they were misplaced, and this would play a role in the destruction of the ship.